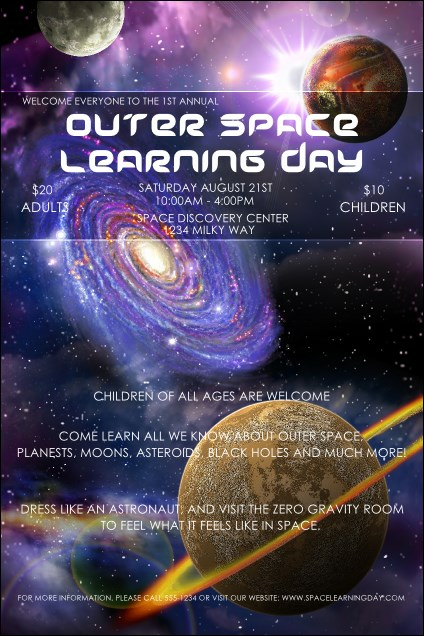 Choose a design worthy of stargazers when you pick the Outer Space Poster to advertise your astronomy gathering. Planets, stars and galaxies cover this impressive design, with sharp colors and high resolution images. List all your details on seventeen lines on the template. Find the right design for your school or museum at TicketRiver.com.au.